It’s human nature to grow overwhelmed and stressed during a busy period at work. While diving blindly into a project with little preparation may seem like the most feasible way to check items off your to-do list, this often fails to pay off in the long run. Instead, try thinking strategically about your goals and how you will achieve them practically. This approach may take more time in the immediate sense, but tackling your goals this way can save you hours down the road. In January, Halt, Buzas & Powell (HBP) had the pleasure of hosting guest presenters Jessica Kohnen and Jennifer Meder from hyve at our Nonprofit Bites event. 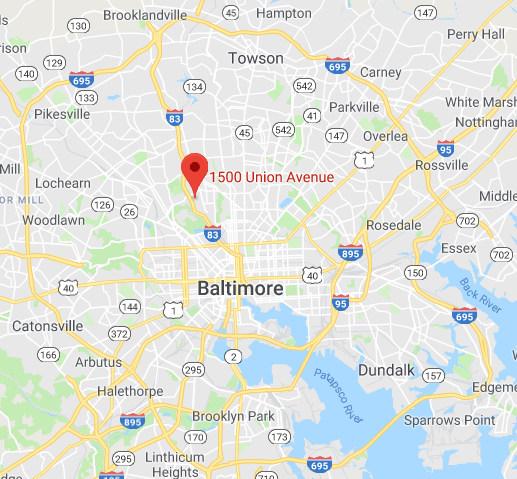 Based in Baltimore and Arlington, hyve consults with organizations and people to move great missions forward faster. These key takeaways from their presentation will have you and your organization translating your ideas and goals into action in no time. Try picturing your goals and means of achieving them as an airplane on a runway using these three different levels of altitude. 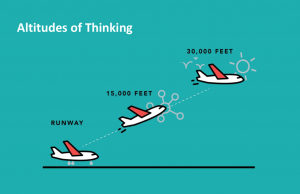 Planning these altitudes in reverse order, from highest to lowest, can help you get your ideas ready for take-off. This is the highest level you want to achieve. You have taken off and your airplane is flying smoothly. Your 30,000-foot view contains your overarching goals. Begin the strategic thinking process by planning out your goals. Choose four things to complete the statement: “Wouldn't it be great if by this time next year…?” By coming up with four goals in your 30,000-foot view, you can complete all four in one year by taking three months to work with each one. Maybe you want to earn a larger social media following for your organization or attract an additional 20 donors. Once you organize your main four goals for the year, move on to picturing your 15,000-foot view. During this middle level, you are in the process of turning your goals into smaller categories. Your airplane is beginning to ascend but still needs to go further. In this step, take the time to draw a mind map of one of your goals. Draw a circle in the middle of a paper, writing your goal in the circle. Then, extend branches from the circle, each containing a “destination,” or a step to reach your goal. Finally, extend these branches into practical tactics as you let your ideas flow. Allow yourself to do this non-linear thinking exercise to help you identify new ways of looking at where you’re trying to go. This is the first and most basic level to achieving any goal. On this level, you are gaining speed before you lift off into the air and begin heading toward your destination. 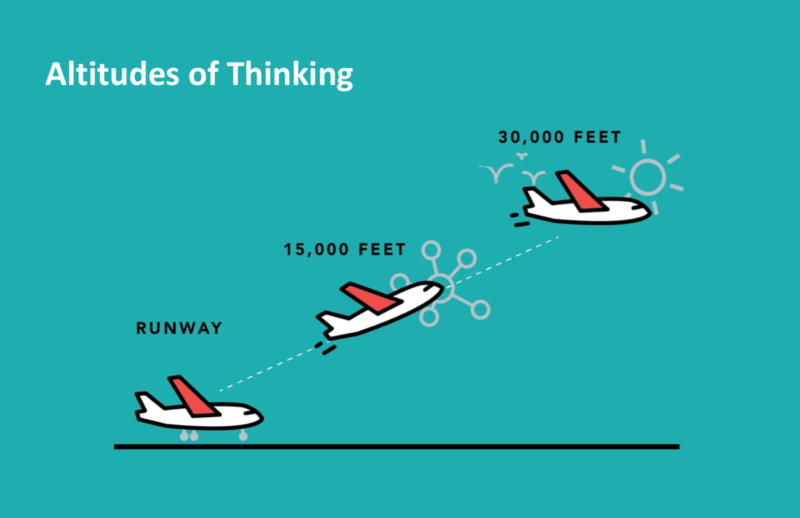 To translate the ideas from your 15,000-foot view to your runway, list the action steps needed to complete the goal in the next 12 weeks. Why 12 weeks? There is interesting research that shows we tend to lose our sense of urgency when we think we have an entire year to accomplish something. When we focus instead on a 12-week time horizon, we procrastinate less, reduce avoidance activity and focus more on the things that matter. 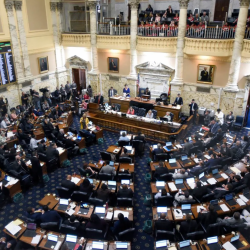 If you’d like to learn more about topics like strategic thinking to help your organization, make sure you check out HBP’s FREE monthly NPB events in Maryland and Virginia. These events are held to showcase relevant topics for nonprofit clientele and are usually held in the form of workshops or TED-style talks. 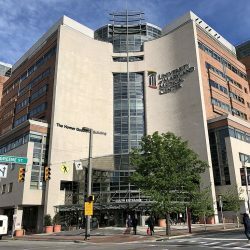 Our upcoming April 30 event will be held at the University of Baltimore, featuring nonprofit leaders Rob Scheer of Comfort Cases and Scott Jackson of Global Impact. We’ll see you there!